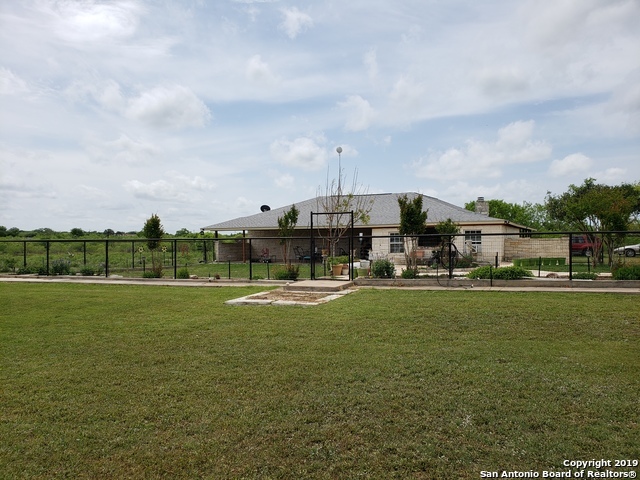 All Castroville homes currently listed for sale in Castroville as of 04/23/2019 are shown below. You can change the search criteria at any time by pressing the 'Change Search' button below. If you have any questions or you would like more information about any Castroville homes for sale or other Castroville real estate, please contact us and one of our knowledgeable Castroville REALTORS® would be pleased to assist you. 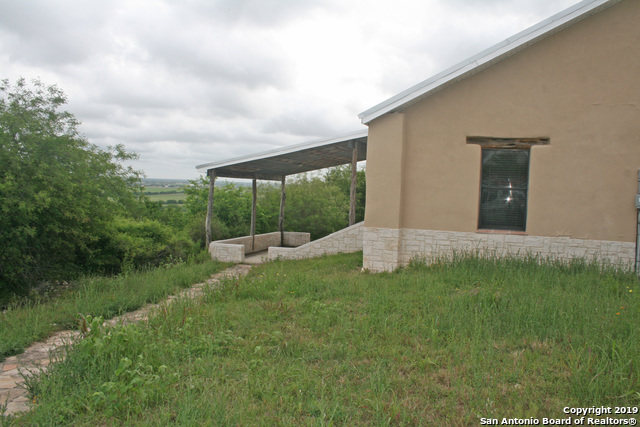 "82 Acres of rolling hillside with a view of San Antonio and Castroville airport. Shown By Appointment only with 24 hour advance notice. Hunt where you live minutes from San Antonio." "Gorgeous, Stunning, luxurious country home minutes from all the city conveniences. 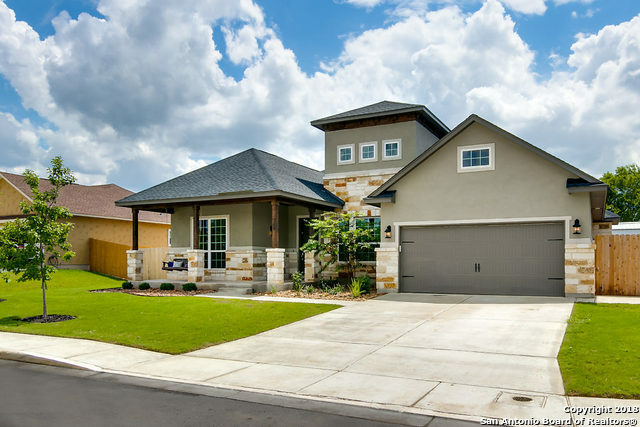 Large open floor plan that features 4 bedrooms and 3 baths. One of a kind Media room for hours of family enjoyment. Gourmet kitchen features custom cabinets with large granite island and SS appliances, great for entertaining. Master bedroom is a must see! Large bedroom leads to huge double entry walk-in showers, double vanity sink, built in sauna. Walk in closet is the size of a bedroom!! Large patio, great fo"
"This is a wonderful property whether you are looking for a beautiful family home, secondary home, investment opportunity or corporate retreat property with phenomenal curb-appeal, Medina River access, in a great neighborhood and all within the city limits of Castroville! Note: The property appears to lie within the FEMA 100 and 500 year flood zone." 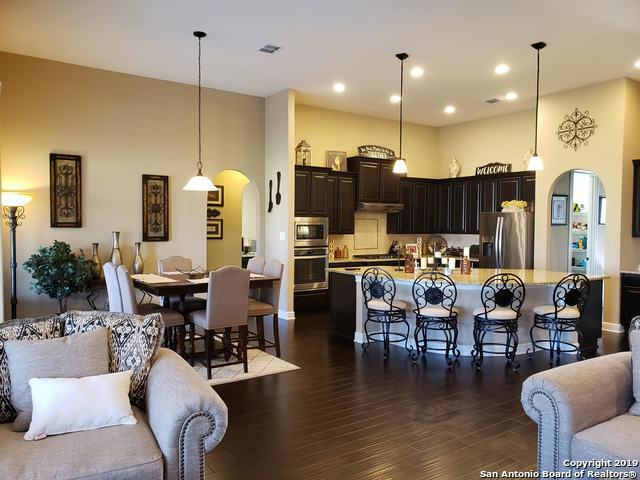 "Indulge in luxury living with the open floor plan of the Fairview at Potranco Ranch. The spacious family room flows seamlessly into the chef-ready kitchen which features a large island, stainless steel appliances and granite countertops. Offering privacy and relaxation, the sizeable master suite boasts a large walk-in closet, his-and-her vanities and a spacious garden tub. The covered patio makes a great place to entertain. With three spare bedrooms, the Fairview is the perfect space for your fa"
"Amazing one story plan w/ builder warranty, huge lot and blissful character. This plan offers over 3,000 sqft, master split, butlers pantry, outdoors cooktop, dramatic high ceilings, junior master suite, wood floors and great details. Home is perfect for entertaining, raising a family or simply enjoying the qualities of life. Great for outdoor events; owners will enjoy the huge pergola, covered patio, extra storage, the flat lot and plenty of parking. Buyers will enjoy what this one has to offer"
"4 BEDROOM PLUS LOFT AND SEPARATE OFFICE/STUDY. 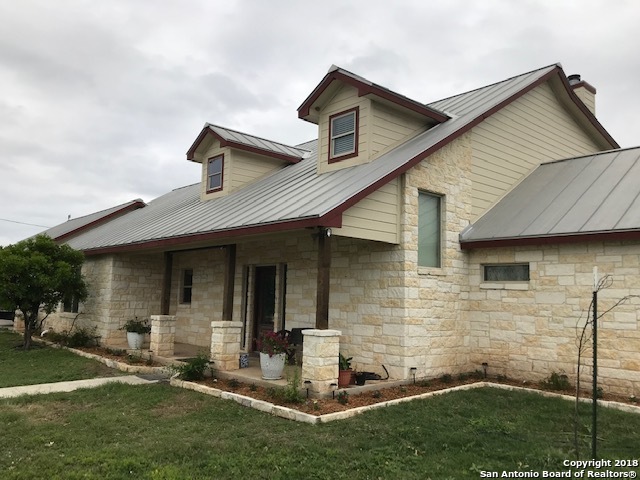 MINUTES FROM AIRPORT, RANCH STYLE HOME WITH ROOMY OPEN FLOOR PLAN, DESIGNER SWIMMING POOL AND HOT TUB ROCK WATER FALL 30' x 40' METAL BUILDING IDEAL FOR MOTOR HOME AND BOAT, WORK BENCH, COMFORTABLE QUIET COUNTRY LIVING 16 MILES FROM SAN ANTONIO AND LACKLAND AFB, EASY COMMUTE ON HWY 90." 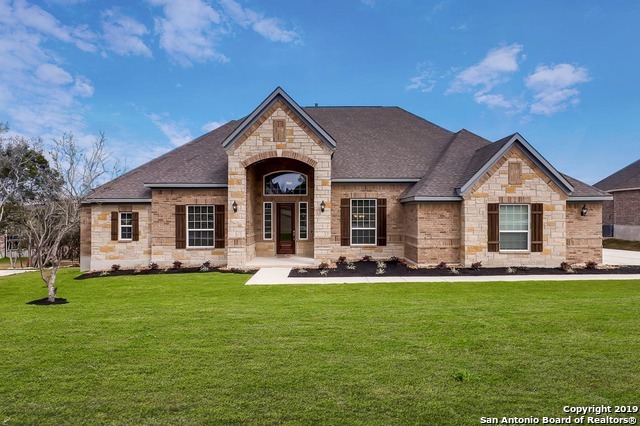 "Timeless home tucked among the rolling hills of San Antonio. This home boasts high ceilings, wood flooring and spacious living areas. The kitchen includes stainless steel appliances, a granite island and a large walk-in pantry. In the family room, you will find a gas log fireplace and large windows that look out onto the covered outdoor kitchen. The master suite is located on the first floor and has a spacious walk-in closet, dual sinks and a separate tub and shower." "OPEN HOUSE 27&28 April 12-3PM! Beautiful luxury home on half acre lot! Open floor plan features gorgeous wood flooring, 12-foot ceilings, media room, gas-log fireplace and tankless water heater. The gourmet kitchen is equipped with stainless-steel appliances, large granite island and a butler's pantry. The owner's suite features an incredible master bathroom with separate shower and lrg walk-in closet. Fully fenced back yard with covered patio/outdoor kitchen and separate pergola with sitting ar"
"One of the finest luxury homes in the area! This 4 bedroom, 3 bath home includes an unbelievable outdoor kitchen area. Every room will leave you in awe with exquisite details and impeccable attention to detail. Gorgeous wood flooring, soaring ceilings and elegant fixtures add to the timeless elegance of this home. The kitchen is a chef's dream kitchen with stainless-steel appliances, a sprawling granite island and a butler's pantry. The master suite an incredible master bath and a large walk-in "
"This sprawling estate boasts beautiful hardwood floors, soaring ceilings, expansive owners suite, and an overall floorplan that is to die for. The kitchen is open and airy with high-end granite and custom cabinetry complete w/butlers pantry. Relax in the private backyard with oversized patio and mature trees. This entertainers home has a large game room with separate theater. All secondary bedrooms are HUGE! 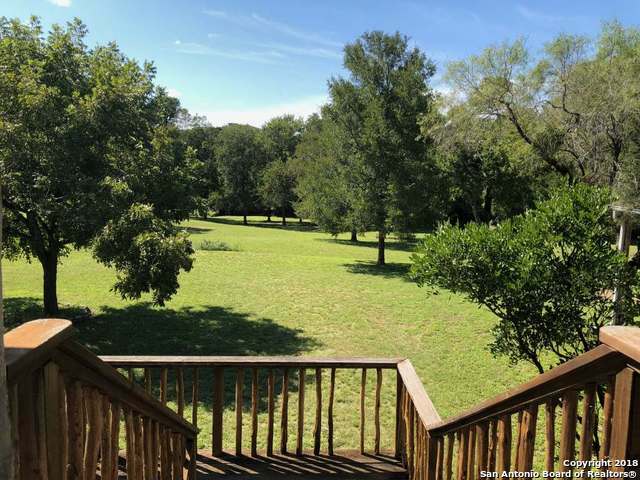 Enjoy quiet country living with all the modern conveniences of city life nearby." "Seller Financing Available, see other information for Map . 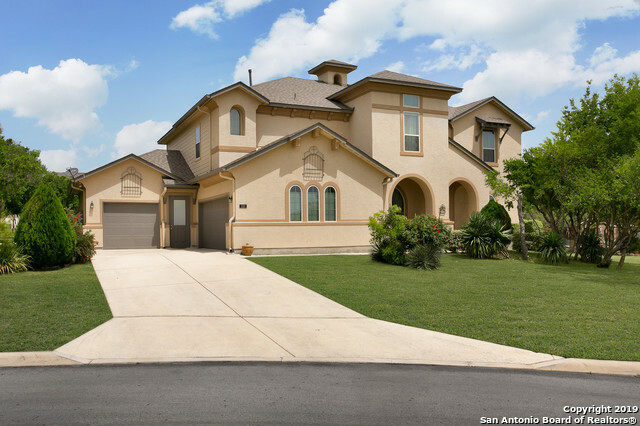 This beautiful home sits on a spacious lot in Potranco Ranch. The timeless finishes within a blend of traditional design with modern amenities feature a versatile floor plan that provides formal yet comfortable spaces to entertain at any level. The premier kitchen is beautifully outfitted with top-of-the-line stainless steel appliances, granite counters and thoughtfully placed custom cabinetry, flowing seamlessly into the open grand liv"
"Large lot living at its best with country setting and city conveniences minutes away! Elbow room, as all homesites are 1/2 acre or more. Heavily treed homesite! Some very large oak trees. 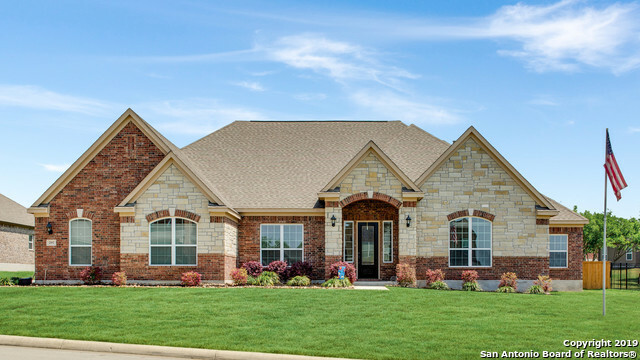 The Baugh plan, a cute 1-story, 3 bdr plus craftroom/4th bdr, open floorplan on 1/2 acre lot, with 2-car side garage. 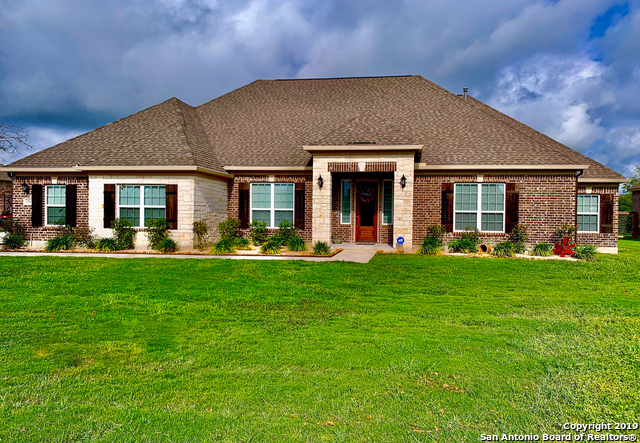 Kitchen overlooking family room, granite in all full baths, fireplace w/ brick surround, tile floors, 8' doors, 51' wide patio over looking heavily treed back yard. Home is ready for a quick m"
"Through the foyer, you'll find the soaring ceilings of the family room, a stately fireplace and direct access to the kitchen. Stainless appliances, a vast island and a breakfast nook are all highlighted within this dream kitchen. The master retreat offers a bath with a soaker tub, his-and-hers vanities, a glass encased shower and a walk-in closet. Additionally, this home includes three spare bedrooms, a dining room, a media room, a covered outdoor kitchen and an attached three-car garage." "This beautifuul newly built home has 3 Bedrooms plus a large Office with 18' ceilings.The kitchen is stunning with gorgeous features & granite countertops throughout.The Master suite is an owner's retreat, featuring a sitting room, his & her walk-in closets & a luxurious oversized bath&shower. The 2nd & 3rd bedrooms are perfect w/an adorable Jack & Jill bath, 2 walk-in closets.Large backyard, that's private & secluded.New shed, fencing,landscaping. Short drive to San Antonio and Lackland." "Immaculate single story 4 bedroom home with 2.5 bath & over 2400 sq feet. Home is nestled on .59 of an acre, perfect for that pool! Plus it's pre-plumbed with gas & water for an outside kitchen & grill. 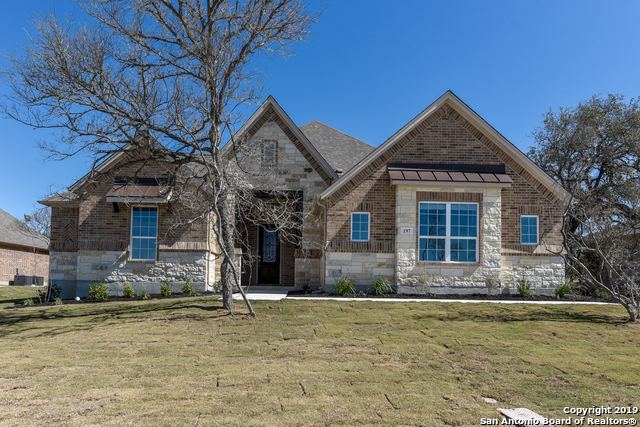 Home also features over $35,000 in upgrades which include a larger master suite, a beautiful bell structure over stove, reverse osmosis water system, custom cabinets with lighting, extended kitchen granite counter tops, Butler area and much more. Please see uploaded list." "This 2-story home has 4 Bedrooms, 3 1/2 Baths and is approximately 2,942 s.f. of living space, per Appraisal. Built in in 1998, the home has many upgrades including standing seam roof, solid surface counter tops and large breakfast Bar in kitchen, formal dining room, 10' X 11' Florida Room and upstairs sitting area. An in-ground pool and hot tub with huge wooden deck are featured in this large backyard." 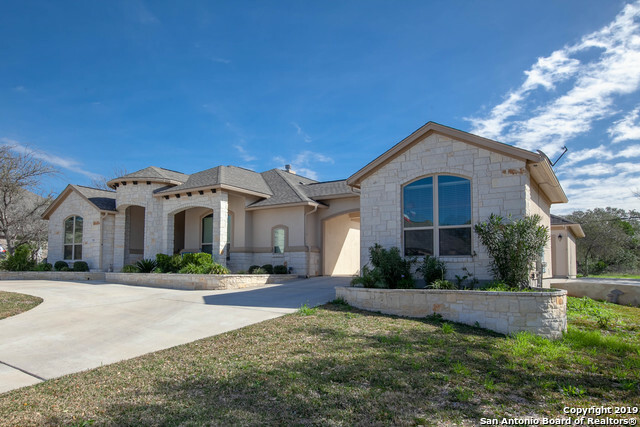 "This beautiful rock/stucco home is approximately 2300 sf, with 3 Bedrooms and 2 1/12 Baths. Built in 2016, the home features a spacious kitchen with double ovens, granite counters, stainless steel appliances, island and beautiful stained cabinets. The large Master Bath has a tiled shower, whirlpool tub, and granite topped separate vanities. Crown molding and dimensional ceilings are featured throughout the home. Back yard views of the 2nd fairway of the beautiful Alsatian Golf Course." "GREAT LOCATION IN DOWNTOWN CASTROVILLE, 1/2 BLOCK OFF OF HOUSTON SQUARE. CLOSE TO SCHOOLS BANKS, CHURCHES, DOCTORS, CITY HALL AND MORE. 1996 3/2/2 WITH AN OVERSIZE GARAGE, DETACHED STORAGE BUILDING/WORKSHOP, AN ORIGINALLY CONSTRUCTED SUNROOM WITH C/A/H, THIS ROOM WOULD BE A GREAT GREEN HOUSE FOR THE PLANT LOVERS! LEAF GUARD GUTTERS, MORE THAN AMPLE STORAGE AREAS, YARD SPRINKLER SYSTEM, MATURE TREES, METAL ROOF, OVERSIZE 2 CAR GARAGE WITH A LARGER CONCRETE PARKING AREA, WHEEL CHAIR ACCESSIBLE WIT"
"This 3 Bedroom, 2 Bath brick home is located on a .31 acre lot in the River Bluff Subdivision. Built in 2004, this 2,025 s.f. home features 2 living areas, gas fireplace, large utility room and attached 2 car garage. This is a one of a kind property with a detached 1,300 s.f. building with matching brick. Ideal for home office/hobbies and with the addition of plumbing it could be a mother-in-law quarters." "This home is secluded with unbelievable hillside views. It is a 3 Bedroom 2 Bath, 1938 sqft home. Originally built of ADOBE, this home has, in recent years been covered in Stucco on exterior and interior. House features stained concrete floors, 20' X 24' covered porch, metal roof and 2 car carport. Home has foundation settlement and is in need of leveling/stabilization which will be negotiated." "Turn your countryside dream into a reality with this charming 4/2 home on 2 well-manicured acres. Just add some TLC to unlock many possibilities both inside and out. Split bedroom arrangement creates privacy between owner's quarters and bedrooms, connected by living and dining areas. 2nd walk-in closet off master could be office or nursery. 2nd living area off kitchen could be office or flex room. Large covered back patio overlooks beautifully landscaped garden and fenced yard. Plenty of room fo"